A day without coffee is never a day well spent. Being a coffee lover, you might realise the necessity of your favourite co-worker. Coffee is commonly second-named as “Espresso”. However, there’s a difference between the two. The beans used in the preparation of both are the same; the difference lies in the method of preparation. How it is brewed, and the flow of water determines whether it is to be called Coffee or Espresso. An espresso shot is more concentrated due to high caffeine content than Coffee. The differences in the two are discussed below. Grinding is a process of crushing down coffee beans into the powdered form. Both Coffee and Espresso use the same coffee beans. There are available, a variety of beans, all of which can be used to make both the types. The selection depends on the maker. While making Espresso, the coffee beans need to be ground finely. The beans are roasted for a longer time, and the blend is dark and strong. The choice of roast depends on the taste of the drinker. 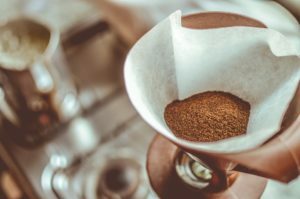 Depending on the type of brews like a percolator, drip coffee, French press etc., the beans while preparing a coffee can be grounded to a different variety of coarseness. Espresso can be made using an espresso machine, but the Coffee grinds need to be fine and hence generally prepared by hands. Brewing is a process of mixing the ground coffee beans with hot water. Brewing technique is what makes an Espresso unique. For a perfectly brewed Espresso, an Espresso machine can be used. The final product when prepared in a pot or stove is much inferior to an Espresso prepared in a machine. The machine takes 20 seconds to make an espresso and prepares one to two espressos at a time. It is carried out at a carefully set temperature and pressure. The process requires very fine grind to create a dense puck maintaining a constant pressure for extraction. The role of an espresso machine here is very crucial as it assists in maintaining a constant water temperature and also supports in controlling the duration of the extraction and pressure, which cannot be produced on a stove. Espresso blends contain a small proportion of Robusta beans to produce a light brown coloured foam on top of the espresso shot. Usually, milk is not used in an espresso. Coffee, on the other hand, is prepared by mixing the right portion of ground coffee beans with hot water. A percolator, a drip-coffee maker or a French press can be used to prepare Coffee. It makes use of a filter and brewing process. It takes a minimum few minutes to even half an hour to prepare a coffee, depending on the percolator. Using a filter, the water is filtered through the coffee and then collected in a pot. Usually, milk is used to prepare a coffee. Coffee made using a percolator is termed as “Filter Coffee” in several Asian countries. All Espressos are coffee, but not all coffees are espresso. The most popular espresso beverages are Cappuccinos, Lattes, and Mochas. These are made using espresso shots and steamed/foamed milk. Chocolate syrups are also used in some drinks. Espresso can be served with or without milk. They are generally drunk in an espresso cup, which is much smaller than a coffee mug. Coffee is generally prepared using milk with cream and sugar. However, it can be served even without milk. Many coffee drinks are very similar to espresso beverages with milk. Drip coffee is made by dripping boiling water on ground coffee. Coffee mixed with steamed milk is called a Misto. Coffee is the most popular morning drink of majority worldwide. Espresso, on the other hand, is very popular in the US, Europe and many South American nations. Cappuccino and Latte are the most liked coffee-based drinks around the world. 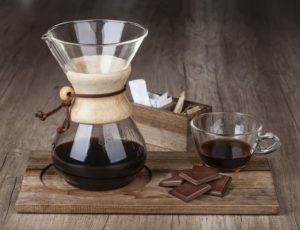 In the United States and some of the other countries, coffee is also termed and sold as espresso roast, which is a dark roast variation of coffee beans with an oily facade. Coffee beans come in a variety of flavours depending on the brand. Flavoured beans cannot be used to prepare Espresso. Flavoured syrups are added additionally to an espresso to give a taste to lattes and cappuccinos. Vanilla, raspberry, and hazelnut are the flavours to name a few. These flavours can also be used while preparing a coffee. However, this is not required as we can use flavoured beans to make coffee, which is not possible in the case of an espresso. A blend of different types of coffee beans, picked from various countries can be used to prepare espresso. It takes less water less water to make espresso, and it is darker and stronger. Hence, it is a preferred choice of many Europeans. In the blending process of Espresso, the subdued levels of acidity are of prime importance. It should be heavy-bodied and at the same time be sweet enough to deliver a balance in the bitter and acidic flavours in the blend. As compared to Coffee, Espresso has a lot more caffeine and taste. Espresso is another name for concentrated coffee. The regular coffee is called the watered-down coffee. Hence, we find the cups of espresso much smaller as compared to the cups of coffee. Because of the high caffeine concentration and its taste, espresso can even be used to prepare other beverages like Mocha. Espressos can be made hot or cold according to your preference. 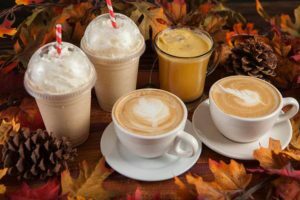 Just by using various brewing techniques the same coffee beans can be used to make different variations of beverages, which is quite surprising. Coffee is the most generic term utilized by the most. The quality of a Coffee or an Espresso depends on the source of coffee beans. It is the brewing technique that gives these beans different flavours and taste. The choice of drink solely rests on each individual’s personal taste.